I have been working on new fairy garden house designs for this spring. Many are completed and I will be adding a few each week to my etsy shop. 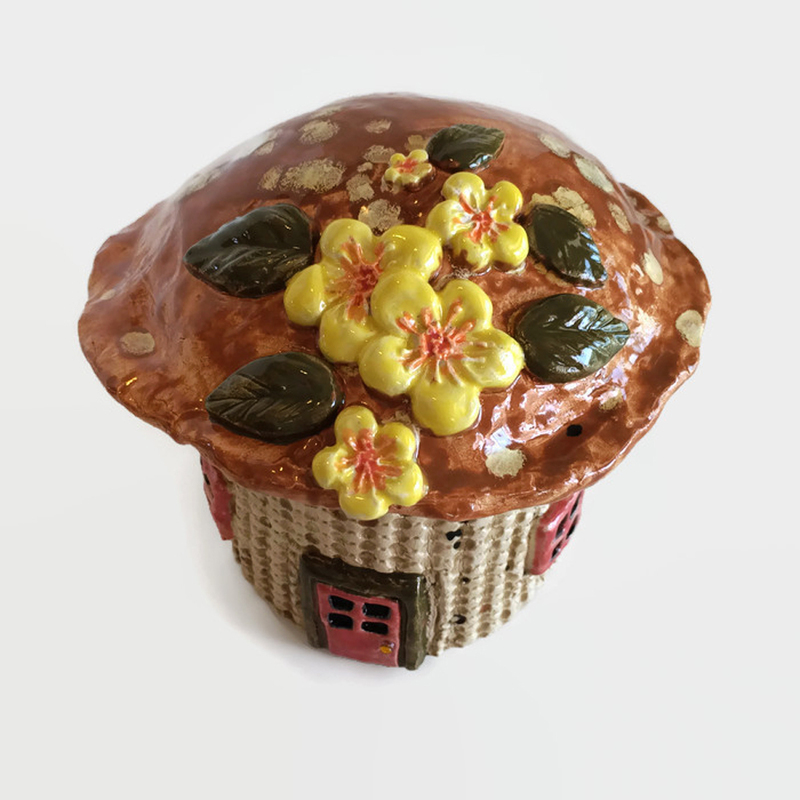 My new items include lots of new fairy garden mushroom houses as well as some larger houses that fit better with the size of many commercial fairy garden accessories. I also have some new inspirational garden signs coming and more flower/plant stakes. 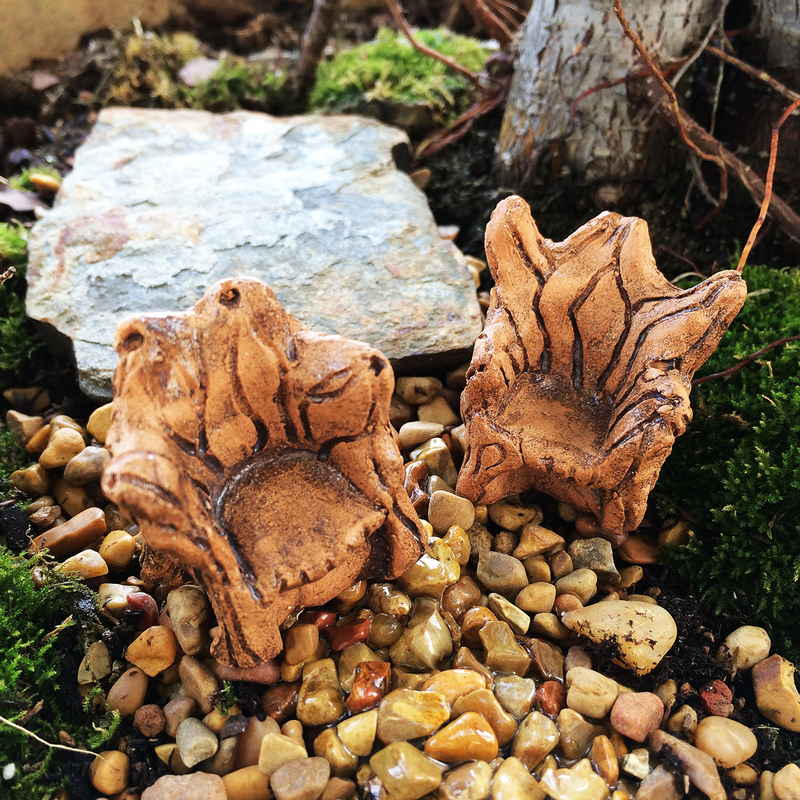 Another new item I will be showcasing are my fairy garden chairs. They are completely hand made from stoneware clay therefore are unique. 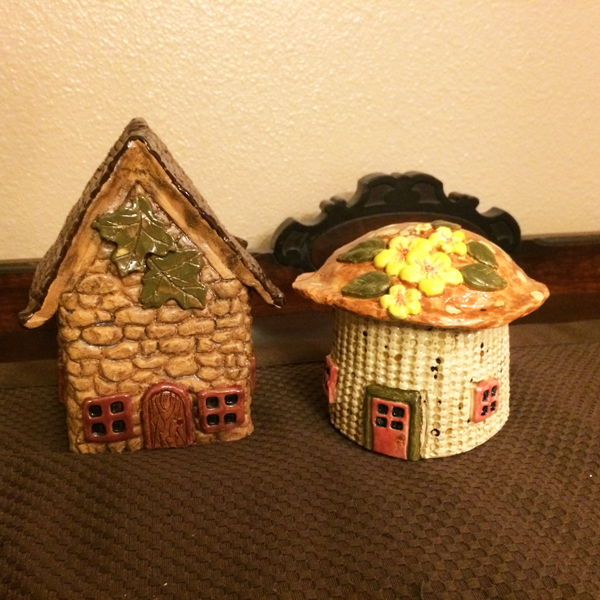 Each one is approximately 1-1/2 inches tall and is sturdy enough for outdoor use. The are created with red stoneware and glazed with a dark grey/black glaze to highlight the wood-look textures. They are sturdy enough for gentle play by older children and are perfect for doll house or miniature gardens. If you haven’t signed up for my newsletter yet, know that when you do you will receive some nice coupons for my etsy shop with each issue. I only send about 4-5 issues a year, so you won’t be bombarded with emails from me. Sign up is easy. Just click the News and Special Offers link at the top of this page. You can share the coupons with your gardening friends, too. As always, if you have a fairy garden, whether it is in a tiny container or a large garden in your back yard, I would love to feature your story and photos here. We all enjoy inspiration in our creating now and then. Every fairy garden or miniature garden that I see has a unique design and shows the personality of the creator. Share your inspiration and help our fairy garden community to grow!